Breishit 6:16 says that there were three levels in Noach's ark. Rash"I explains that the top level was for Noach and his family; the middle for the animals, and the bottom for waste. That implies that all the animals were together in the same level. Some animals are predators of other animals. Did Noach attempt to separate the species so that they wouldn't harm each other? If so, how would he have known about animal behavior for every species? Or was it just miraculous that animals didn't eat or harm each other? Did Noach attempt to separate the species so that they wouldn't harm each other? If so, how would he have known about animal behavior for every species? Actually, he separated all types from one another, not only predators and prey [, and thus did not need to know animal behavior in order to decide on living arrangements]. Source: Rashi to verse 14. Miracle. I don't think this requires textual proof as Noah's involvement with bringing together species from the entire planet has never been replicated even by half the quantity by an animal psychologist or other profession that works with animals or information about animals. Not the answer you're looking for? 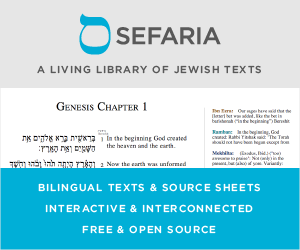 Browse other questions tagged parshanut-torah-comment parashat-noach noach-noah-the-man . Did Adam name all the breeds of the same type of animal?